Remember back to the fairy tale of Aladdin’s lamp… where the genie would grant three wishes? We all could use a genie from time to time. 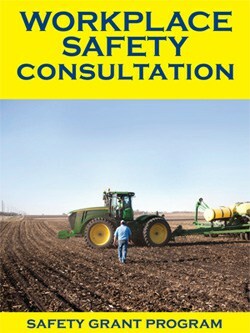 If you are a farmer wanting (or wishing) to improve safety and health on your farm, the Minnesota Workplace Safety Consultation – Safety Grant Program could be the answer. This safety grant program is intended to reduce injury and illness on the farm and provides up to $10,000 in matching funds to qualifying applicants. Read on to learn more on how get your safety wants, needs or “wishes” met. Minnesota OSHA Workplace Safety Consultation Safety Grant Program continues to support projects intended to reduce the risk of occupational injuries and illnesses. The program awards matching-funds up to $10,000 to qualifying employers, including farmers who implement projects designed to reduce the risk of injury and illness to their employees. 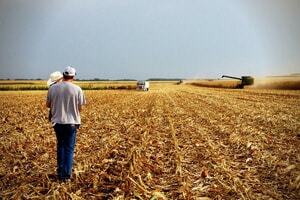 Grant projects are based on findings and recommendations of a written hazard assessment. Qualified applicants must be able to initially fund the project; the Safety Grant Program award provides a reimbursement of matching funds after the project is completed. The program awards matching funds up to $10,000 to qualifying employers, including farmers who implement projects designed to reduce the risk of injury and illness to their employees. During state-fiscal-year 2016 (July 1 through June 30), employers submitted 235 safety grant applications. Of these, 142 grants were awarded to private- and public-sector employers. Industry-types included construction, manufacturing, healthcare, logging, automotive and other service industries, and municipalities. A total of $1,024,474 was awarded in reimbursed funds. Examples of equipment purchased include: fall protection; safe patient-handling; material handling; workplace violence prevention; exhaust ventilation system; logging; trenching and excavating; machine guarding; specialized personal protective; loading dock restraining; and confined-space entry. Grants were also awarded for a number of projects that reduced the risks of musculoskeletal disorders associated with manual lifting and material handling. Various manufacturing, warehousing, service and public employer worksites received safety grant awards. To access the online safety grant application, visit www.dli.mn.gov/Wsc/Grants.asp. Links are also provided to help applicants prepare their information and improve their odds of receiving a grant award. You can also click on the link for “Safety Grant Program priority industries,” to see if your worksite qualifies as a higher-priority industry for a safety grant award. Minnesota OSHA Workplace Safety Consultation is completely separate from MNOSHA Compliance. If you have questions about the application, contact the safety grants administrator at (651) 284-5338, 1-800-731-7232 or dli.grants@state.mn.us. Minnesota OSHA Workplace Safety Consultation (WSC) provides free voluntary and confidential workplace safety and health assistance to Minnesota businesses, with a priority for farms and small businesses. WSC provides a wide variety of free services, including on-site safety surveys, training, education and outreach. Services are provided by safety and health experts who are highly qualified occupational safety and health professionals.